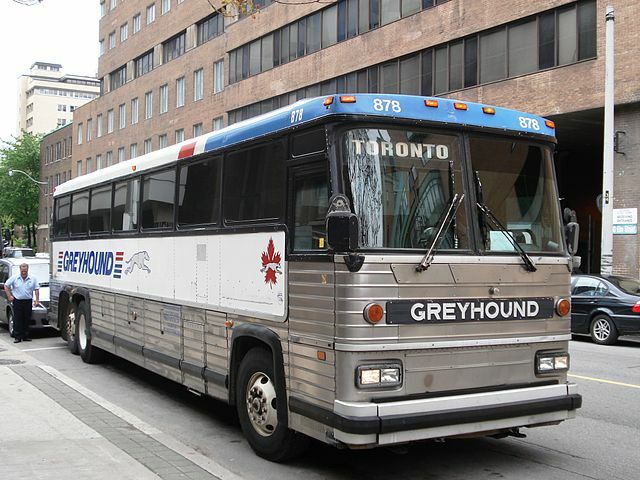 Greyhound announced that it was pulling its buses out of western Canada earlier this year. For anyone that owns a car? No big deal. For those living in remote western communities without access to a vehicle of their own or other means of transportation to shuttle them to more populous locales, it's a disaster. On October 31st, decades of being able to rely on a Greyhound ride to take an inexpensive trip into the city to access government services, make a visit to the hospital or see far-flung friends or family will come to an end. When Lillian Sylvestre heard Greyhound Canada was ending its western bus service, she made arrangements to visit her children in Red Deer on the route she's taken for the last four decades. Sylvestre lives in Sprague, Man., minutes from the Minnesota and Ontario borders. It lost its bus service to Winnipeg several years ago. "It was sad when all the small communities lost the bus route," she said. "It is very hard because I used to hop on the bus in Sprague ten o'clock in the morning, go do my business — doctor, whatever in the city here, six o'clock — eight o'clock I'm home. Now I can't do that. I got to rely on my kids, in-laws, friends." The closure will effect almost all routes west of Sudbury, Ontario. As part of Greyhound's spinning down their western services, 415 people will lose their jobs. In total, 400 communities will lose access to Greyhound's services. the company says that their pulling out of Western Canada is due to a 40% drop in ridership since 2010--business that may have been lost to other transportation services. But those services don't run in all 400 locations that Greyhound is abandoning. In some cases, the only alternative for folks looking to leave their community is in a cab--if one will come out to pick them up. Communities screwed over by Greyhound's exit and both provincial and federal governments are scrambling to sort out subsidized transportation for those no longer able to hop a ride on the long-running bus line. In some areas, homegrown ride-sharing programs may be the only viable option. The ties that bind us together are falling apart, piece by piece.